The Pradhan Mantri Awas Yojana (PMAY) envisages affordable housing for all families in India by 2022. Translated into action, this central government initiative seeks to ensure that nearly 20 million houses are built in India by 2022, giving most of the country’s disadvantaged, low- and middle-income groups a chance to have a home of their own. Here’s how PMAY works and how you too can benefit from it to become a homeowner. 1 What does the PMAY Aim to Do? 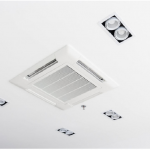 3 How are Applicant Classified According to their Income? 4 Who’s Eligible and What is the Interest Subsidy? What does the PMAY Aim to Do? 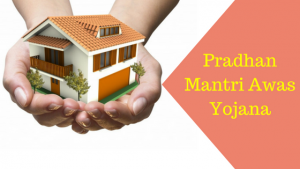 Launched in June 2015, the Pradhan Mantri Awas Yojana aims at providing the homeless families from certain sections of society to have the monetary means of owning a proper house complete with sanitation and other basic amenities. This aim of providing affordable housing not only include those from economically weaker sections (EWS) and the lower income groups (LIG), but has also been expanded to include those of the mid-income groups (MIG). India’s housing shortage scenario is a problem that affects not only the rural areas, but also urban cities. This is because while there is an unsold inventory houses priced at Rs.80 lakh and above, there is no place to house the country’s rural and urban population at more affordable costs. The high cost of housing makes it impractical for those not earning a certain level of income to own homes at much lower cost ranging from Rs.8 to Rs.16 lakh. Added to this, the construction often doesn’t follow legal norms and does not use eco-friendly materials. To holistically organize all these essential components in such a way that they work in tandem, the government has already allocated sum of Rs.2 trillion for this purpose. So don’t be late, have your own house with Pradhan Mantri Awas Yojana in 2019 and get benefited with home loan subsidy. How are Applicant Classified According to their Income? The scheme divides applicants earning an annual household income of less than Rs.3 lakh into the economically weaker section (EWS), those earning from Rs.3 to Rs.6 lakh into the lower income group (LIG) and those earning a household income from Rs.6 lakhs and up to Rs.18 lakhs into the middle income group (MIG). The interest subsidy offered on home loans to these groups differ accordingly. 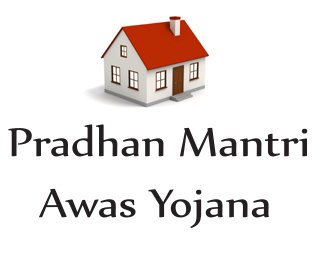 The two major division of the PMAY scheme are the Pradhan Mantri Awas Yojana – Gramin for rural India and Pradhan Mantri Awas Yojana – Urban for urban India. To increase its effectiveness, PMAY is linked to other schemes currently in operation such as those with aim to reduce open defecation, those providing electricity connections across the country and those offering cooking gas, pure drinking water and other basic amenities. Who’s Eligible and What is the Interest Subsidy? The first prerequisite for you to be eligible to get financial assistance or the interest subsidy on the home loan that you take under the PMAY scheme is that neither you nor your family members should own a house. Married applicants are entitled to a common home loan subsidy along with their spouses. You are disqualified if you have applied for a benefit from another official housing scheme. Those who have applied for the scheme on or after January 1, 2017, and whose loans have been sanctioned on are after this date also qualify for the scheme under the MIG category. To avail of the subsidy under the economically weaker section and lower income group categories, your house has to be compulsorily registered in the name of a female owner. If you fall in the middle income group, submitting your Aadhar number is a must. The interest subsidy ranges from 3% to 6.5% for home loans ranging between Rs.6 to Rs.12 lakh for a maximum tenor of 20 years. The interest subsidy on the loan amount is provided in one go, thus helping you reduce your EMI. The PMAY scheme substantially cuts down the expenses of owning a home by up to Rs. 2,67,280. The interest-linked subsidy benefit of PMAY applies to all those areas classified as towns or planning areas as per the 2011 Census, including those notified after the census as well. The central government has already selected 4304 cities in 35 cities and Union territories for the PMAY scheme. Now that you know how PMAY work, check to see which lender you can apply with. Next Why you Should Invest in a Systematic Investment Plan or SIP?